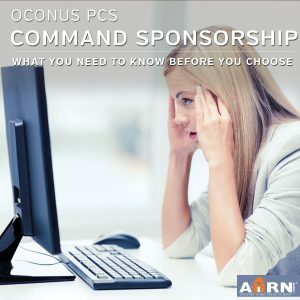 When a service member receives OCONUS PCS orders, command sponsorship is needed in order for dependents to be sanctioned, if they want to reside and utilize benefits with them while completing an overseas tour. The process is tricky and varies between the different OCONUS locations, so we’ve put together universal key points to consider as you are preparing for command sponsorship! Is a command sponsorship program right for your military family? If you receive overseas orders, you and your family need to quickly decide if you would rather spend the tour together or apart (unaccompanied). 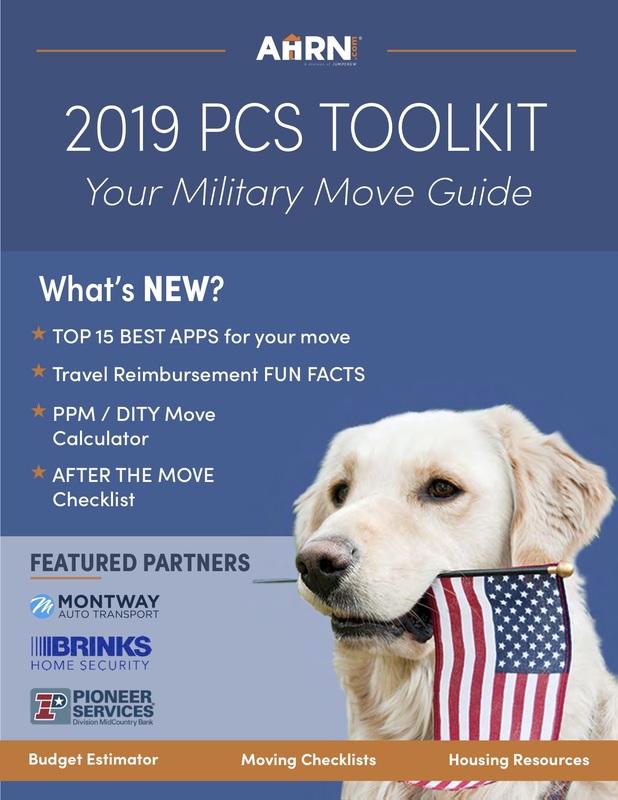 For most locations, the PCS process starts off assuming your service member will travel unaccompanied. When you decide to accompany, the paperwork for command sponsorship needs to begin immediately. My husband and I did our first overseas Korea tour apart, but now, we are seriously considering command sponsorship. We’ve started our journey down that path and have been learning along the way. Start the dialogue with your current unit. Each branch operates differently, as do units within each branch. Having your service member inquire with their current command team is a good way for them to start the process on the right foot. Your current installation may be able to help you get on track. For example, if you’re an Army Family, the relocation office could help educate you with all the appropriate check boxes. My husband’s unit encouraged him to attend the first levy briefing after receiving the notation on his record, so I attended with him. Go equipped with questions and don’t be shy with the briefer. My additional concern was our cat, Xena, as there is a significant process to make sure pets are approved for travel. Have your service member complete all applicable training. After our levy brief, we learned that there are a number of special trainings that need to be completed for our particular OCONUS location. It can differ for Hawaii, Alaska and Europe as they are all considered stations that require command sponsorship. For Korea, command sponsorship approval is challenging because of the shifting of command sponsorship projections. To help Korea-bound Army families, 8th Army has a special Facebook page that releases projections and does a great job of responding to inquires. Check your gaining installation for similar information. They know what you need to do to get you and your family safely to your new location. There should be welcome pages at each OCONUS location that would direct you to the appropriate resources. I’m going to refer back to Korea again, since that is the location I’m currently experiencing. Our orders might get cut unaccompanied, even after the service member turns in their levy packet with electing to take dependents because there are certain things your family would have to undergo. That leads me to my next point. Schedule your family’s medical screening. This is really important…and I mean really important. You won’t get approved without it. You must schedule a special EFMP (Exceptional Family Member Program) medical screening with your MTF (Military Treatment Facility). We were given DA Form 7246, which is an EFMP questionnaire that will help the medical team fill out a DA Form 5888. Also, this can only happen within 4 months of your service member’s report date. This is what I understand to be the main component of the command sponsorship packet because it identifies any special needs you and your family may have medically, so the overseas facilities can gauge if they can treat or accept you. Please bear in mind that the forms I’ve mentioned are Army, so please reference your branch for their particular forms. Be prepared for your service member to go ahead of you. If orders are cut unaccompanied while your command sponsorship packet is still being reviewed, your service member still needs to report to their installation on time. That doesn’t mean your packet won’t get approved later though. Without you and your family on the orders, it means that the military isn’t responsible for everyone, including travel. That’s when your service member needs to work on getting orders amended to include dependents and that would entitle the military to pay for travel. You can still apply once your service member is in country. It’s also known that you can elect to start the command sponsorship process when you are already at your gaining OCONUS installation. It would be easier to keep contact with your new installation and keep in mind that your command tour will start once your family is either in country or date of approval (refer to your unit). All in all, be sure you and your service member stays alert and follow-up as much as possible to see where things are going. In my instance, Korea does have the ability for service members to check the status of their packet, so once you get all the needed information together, keep track of its progress.